Posočje and the towns surrounding Tolmin are lauded as the most magical part of Slovenia. Its hills are sprinkled with tiny villages and protected by the towering Julian Alps. 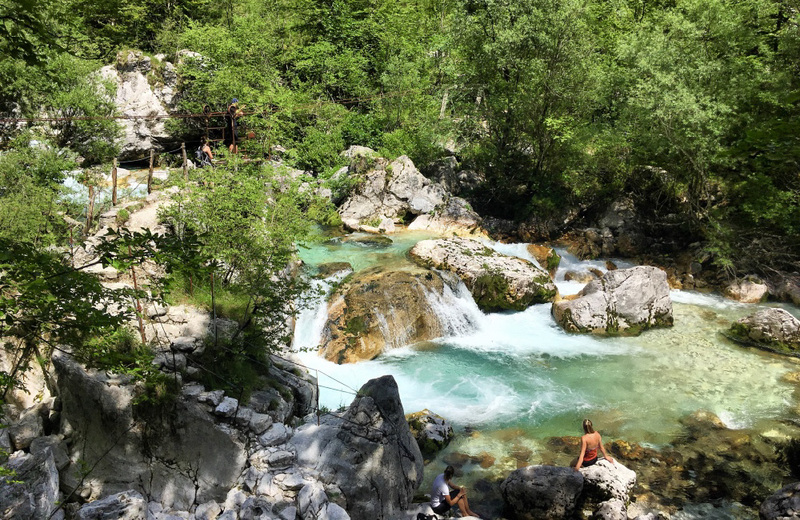 A real beauty, the Soča River, twirls through the valley and lends a magical aura to the towns on its banks with its color and wonderful pools. Even more magical are the locals, the hardworking and truly warm people who love their land and traditions immensely. 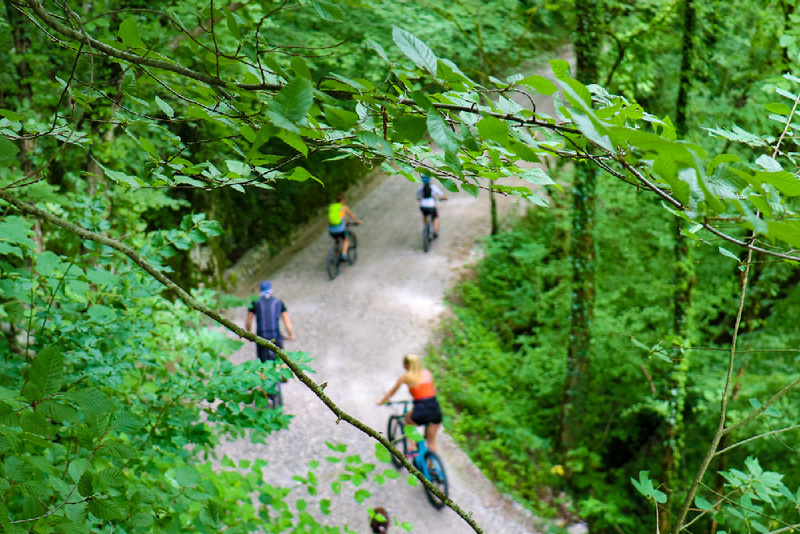 The countless memories of the Isonzo Front are an emotional reminder while the breathtaking vistas and the coolness of montane rivers bring a smile to the faces of cyclists. Is this bike trip right for me? Refreshments in the Soča River. 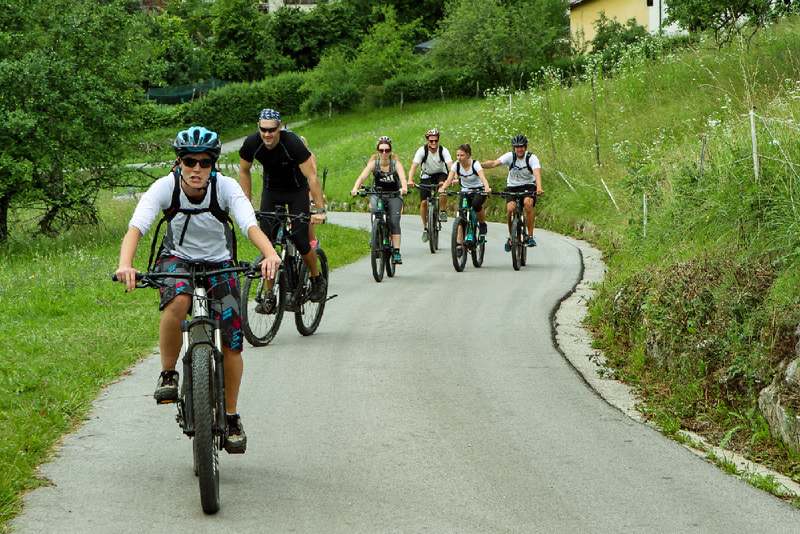 10.00 am – Pick up location: The tour starts in Camp Gabrje in Tolmin. 10.15 am – Route start: We will start the first part of the tour with a slight ascend to the village of Zatolmin. Then we will continue through the cool shades of trees up the Tolminka River Valley until we reach the Polog pasture. After a short walk, cheese tasting, and searching for views, we will visit the mysterious spring of the Tolminka river, by bike or by foot. Then, we will take a long descend, shrouded in the coolness of the river, completing the tour by the downstream which features a magnificent gorge with wonderful pools. 15.00 pm – Route finish: We will finish the tour back in Camp Gabrje. 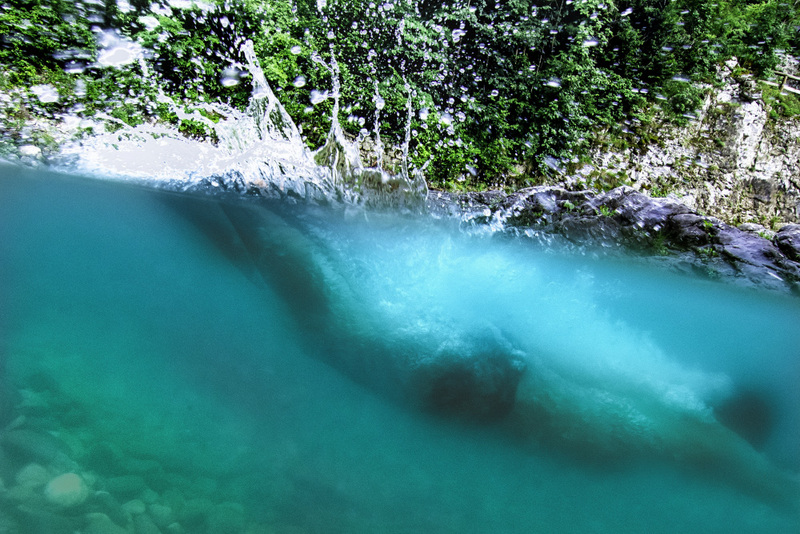 If you are brave enough, you can wrap up the day with a dive in the refreshing Soča river. The Soča Valley is an excellent starting point for learning about both Alpine Slovenia and the special features of Mediterranean Slovenia. Lovers of sports in nature from all over the world were the first ones to fall in love with the area of the emerald river. Discover why! 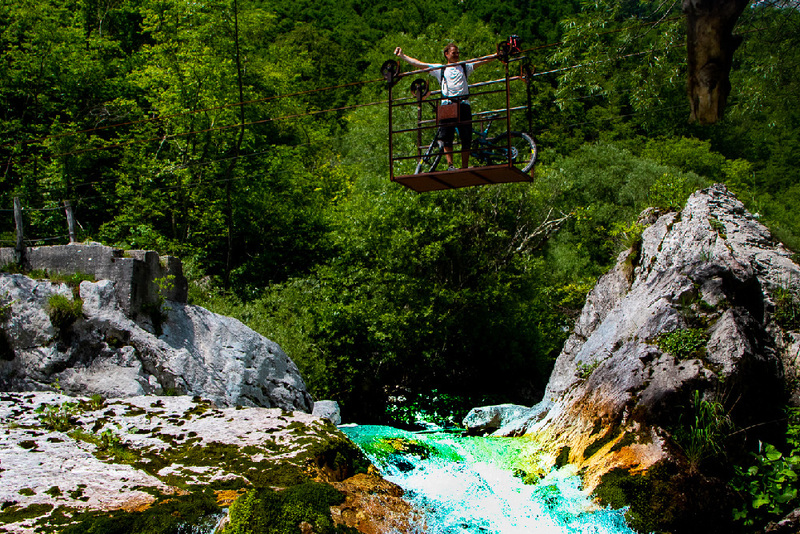 I had bike tour with my friends in Soča valley. It was lovely experiance with beatiful nature and interesting bike routes. Ebikes are very good and tour guide was very friendly with a lot of knowladge about local area. Would defenetly recomend to anyone who wants adventures. Cycling with eBikes is absolutely awesome as you can enjoy all the views while riding. And the tour to the Tolminka spring does not lack those. If you experience it with the GreenHills Team, the adventure is guaranteed. Since I’m not a regular cyclist, I was slightly worried about the trip we chose. 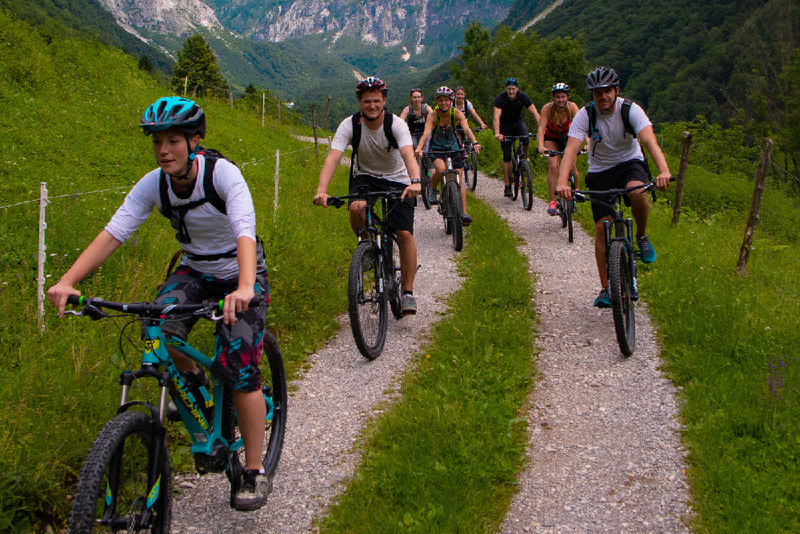 But I must say that the top cycling gear, really professional and skilled guides, and breathtakingly beautiful spots made the tour with the GreenHills Team one of the most enjoyable trips.